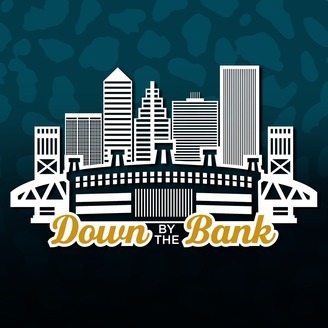 Down by the Bank is a Jacksonville Jaguars podcast, hosted by Corey, Darrick, and JK3. The podcast is a free-flowing conversation about everything-Jags, including the occasional guest to learn something new, hear another perspective, or interview an interesting person. We are proudly affiliated with Big Cat Country (bigcatcountry.com) and tastily sponsored by Brewer's Pizza (brewerspizza.com). The podcast is available on Apple Podcasts, Spotify, Google Play, and all other major podcast platforms. You can also follow us on Twitter at @downbythebank. 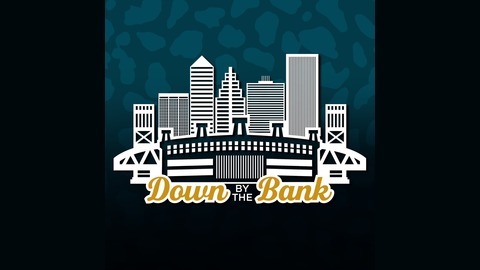 Down by the Bank: A Jacksonville Jaguars Podcast is proudly sponsored by Brewer's Pizza! Brewer's Pizza is located at 14B Blanding Blvd., Orange Park, Florida, 32073 and at www.brewerspizza.com. Brewer's is Orange Park's only true brewpub, featuring delicious pizza, and Pinglehead Brewing Company on site. The podcast is available on Apple Podcasts, Spotify, Google Play, and all other major podcast platforms. Apple Podcasts listeners, please leave a rating/review, as it helps us a ton! We especially love written reviews! Follow us on Twitter at @downbythebank. Hosted by Corey Jones (@jaxnotjac, corey@downbythebank.com), Darrick Smith (@thadroc, darrick@downbythebank.com), and John Kellum III aka JK3 (@jkdathird, jk3@downbythebank.com). We also always enjoy your feedback/comments/suggestions at podcast@downbythebank.com. Thanks for listening!